Replace the I-5 bridge with some kind of catapult system. Interstate 5 (I-5, as it’s more commonly known) could quite possibly be the most important interstate on the west coast. The freeway links Baja California with British Columbia; seriously, it cuts all the way through the United States. Considering how the majority of goods are still transported by trucks, you might think that any bridge that’s a part of this interstate would be extremely high-tech, and that the replacement of said bridge would be expedited quickly and efficiently. 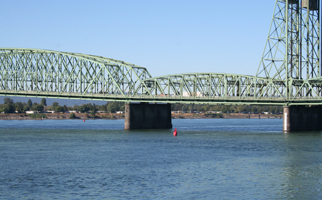 Welcome to Portland, where what’s quite possibly one of the most important commercial bridges in the world crosses the waterborne border of two states: Oregon and Washington. Let the problems begin! Two sides agree in education? Never say never. Let’s get serious for a moment – education should be a top priority in the U.S.
Education is the only way we’re going to inspire future generations of forward-thinkers who can help regain/maintain the U.S.’s competitive edge in terms of innovation and prevent Idiocracy from coming true. Unfortunately, the education system in the U.S. has developed a bad reputation over the years with a lot of in-fighting with sides not understanding each other. Crazy as a … tiger? Okay, we must admit – seeing U.S. Representative David Wu dressed in a tiger costume threw us back a little, but it also made us think; wouldn’t the world be a little better if all of Congress wore its crazy on the outside? There are a lot of issues affecting Portland these days – rising unemployment, an overcrowded I-5 bridge, gang crime and smelly coworkers. Fortunately, the city council has gotten together to solve at least one of these issues – the new fragrance-free policy will grant council employees a reprieve from their colleague, Big Bertha, who wore enough of Paris Hilton’s “Just Me” to suffocate several elephants.